I hope this letter finds you in good health. You must be very busy right now, Your Holiness, preparing to attend the six day meet you have convened for members of the Tibetan Government-in-Exile in Dharamshala from 17 November 2008 to discuss the future course of action for Tibet. I assume you are not in the best of spirits, Your Holiness. You underwent a surgery for removal of a gall bladder stone last month. You have publicly stated that you have lost hope of reaching a settlement with China through dialogue. Ever since March 1959 when you left Tibet and went to India, you have been trying to obtain a better deal for Tibet and its people. You have not only always stuck to the path of non-violence, but you have also insisted that your followers do the same. All of this is admirable until one realises that, as you recently admitted, you have not managed to wring a single compromise out of China. Your Holiness, are you worried that history will judge you harshly for not having achieved anything much for the people of Tibet, despite struggling for almost 50 years? I don’t have an answer to that, Your Holiness. Before we respond to that question, why don’t we take a quick look at Tibet’s history? The Tibetan language belongs to the Tibeto-Burman branch of the Sino-Tibetan language family. Tibetan is as much distinct from Mandarin as Burmese is. Tibet has always been an independent country. In the early 9th century, Buddhism reached Tibet after a Tibetan king invited Buddhist preachers and artisans from India. There have been occasions when Tibetan kings have defeated Chinese rulers in battle. From the 13th century onwards, Tibet was under the control of the Mongols who also controlled vast stretches of China. It was when the Mongols controlled Tibet that Buddhism spread to Mongolia. In the seventeenth century, the fifth Dalai Lama became the spiritual and temporal head of the whole of Tibet. Tibet has had wars with the kingdoms of Ladakh, Bhutan and Nepal, losing many battles and winning a few. Since the early eighteen century, the Manchu rulers of China have made claims on Tibet. However, China went into a period of decline after that and Tibet managed to assert its independence. In the early 20th century, the British led a few expeditions into Tibet in order to prevent any Russian influence in the region. The British forced the Tibetans to sign a trade treaty which opened Tibet’s borders to British India. In 1907, Britain also entered into a treaty with Russia which recognised Chinese suzerainty over Tibet. After China was defeated by Japan in a series of battles in the early twentieth century, Chinese control over Tibet waned. Britain, Tibet and China held negotiations in Simla in 1913 and 1914 to resolve the boundaries between India, China and Tibet. The negotiations broke down and Henry McMahon, the then British Indian foreign secretary and the chief British negotiator, unilaterally demarcated the Indo-Tibetan border. Approximately 9,000 square kilometres of traditional Tibetan territory in southern Tibet (the Tawang region) was given to India (which now forms the Indian state of Arunachal Pradesh). McMahon also recognised Chinese suzerainty over Tibet and affirmed that Tibet was a part of China. China did not agree to this Simla convention and hence, this treaty became a bilateral agreement between India and Tibet. Immediately after the communist takeover of China, the communists took over parts of eastern Tibet and initiated a process of land reforms. Landlords were publicly humiliated and at times executed. However, the traditional Tibetan aristocracy was allowed to remain in place till public unrest in eastern Tibet led to a military crackdown, which in turn led to the Lhasa uprising. It was at that time, Your Holiness, that you fled to India. Your Holiness, at the time of the communist takeover of Tibet, Tibet was a corrupt and undemocratic theocracy. Monks held all the powers and abused them. The peasants were oppressed and lived in extreme poverty. One of the reasons the Chinese were able to takeover Tibet so easily was because it was a backward, feudal and theocratic state. The blame for this should lie primarily on the Buddhist clergy which kept Tibet in the dark ages. Your Holiness and your predecessors were always at the helm of such a state of affairs. After Your Holiness came over to India, you set up a Government-in-Exile consisting of a legislative assembly (the Assembly of Tibetan People's Deputies), an executive (the Kashag), and a judiciary (the Tibetan Supreme Justice Commission). You have categorised the Government-in-Exile as a constitutional monarchy. Elections were held and exiled Tibetans voted. You have gone into semi-retirement and if rumours are correct, you would like to retire permanently. Considering the fact that prior to the Chinese take-over Tibet was a full-fledged theocracy, I feel that you have done an admirable job in injecting a decent dose of democracy into the Tibetan community. Since almost all Tibetans are Buddhists, not many Tibetans have objected to having you, the Dalai Lama, a living incarnation of the Lord Buddha, as the head of the Tibetan Government-in-Exile. This would mean there is a shade of theocracy in the Government-in-Exile, but I feel this was inevitable. Your Holiness, your emphasis on non-violence and peaceful negotiations won you not only many admirers all over the world, but also the Nobel Peace Prize in 1989. Until you threw in the towel last week, you have always stated that you would be happy with greater autonomy under Chinese authority (on par with what Hong Kong has) and would not press for independence. However, it cannot be said Your Holiness, that all Tibetans have been happy with your approach. Organisations such as the Tibetan Independence Movement, the Students For a Free Tibet led by exiled Tibetans and supported by celebrities like Richard Gere have insisted that Tibet should be independent. They have rightly said that China has been diluting Tibetan culture by flooding Tibet with Han Chinese. Tibet’s natural wealth, especially its forest wealth, has been eviscerated. Most importantly, they say that Tibet has historically been an independent state. Your Holiness, it must not be forgotten that Chinese rule has brought some benefits for Tibet. There are a lot more roads and railways and industries, though it can be argued that all these developments further Chinese exploitation of Tibet and facilitate Han Chinese expansion into Tibet. We all know that sadly, in Tibet, the Han Chinese outnumber the Tibetans. Your Holiness, even though you have won international acclaim and admiration, you have not been able to persuade a single country to take concrete measures for Tibet’s independence. Measures such as imposing sanctions against China and not trading with China. Please don’t laugh at me, Your Holiness. I do realise that the mere thought of not trading with China sounds silly. Who can afford to not trade with China? It is not only nation states who can’t afford to antagonise China. A few months ago, the London Metropolitan University awarded Your Holiness a doctorate in recognition of your outstanding achievements in promoting global peace. The threat of a boycott by Chinese students forced this British university to express regret for any offence caused to the Chinese government. Were things always like this Your Holiness? No, Your Holiness. It is only in the last ten years that China became so powerful. Twenty five years ago, China was an unknown country, tolerated because it was a counterweight to the Soviet Union. Your Holiness, for a couple of decade after you went over to India, there were many armed groups of Tibetans carrying out guerrilla operations against China. These were not on a very large scale and were funded by the CIA. However, they slowly died down due to various reasons. One of the reasons was that India slowly distanced itself from the USA and became friendly with the USSR, which meant that the CIA could no longer use India as a base for attacks on China. Your Holiness, I wonder if your insistence on non-violence as the only option has been mainly because you’ve known that neither the USA nor India would provide the quantum of commitment and support that would make it feasible for Tibetans to fight China. Your Holiness, even during the period when China was yet to become an economic powerhouse, you could not persuade Buddhist majority countries like Thailand or Sri Lanka to boycott China. 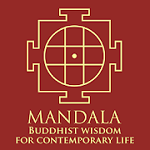 Even though Buddhists believe that you are a living incarnation of Lord Buddha, you have not been able to build up any following within the Buddhists among the Han Chinese. Your Holiness, would things have been different if you have played a less key role right from the time you went over to India? I doubt it Your Holiness. Your personality and charisma gave the Tibetan cause the sort of publicity and respectability that no secular leader could have obtained. It is tempting to speculate on what could have been achieved if a secular person who believed in using all options had headed the Tibetan Government-in-Exile right from day one. At a time when China was fighting the USSR, could such a person have obtained independence for Tibet through armed action? I doubt it, Your Holiness, but we will never know. 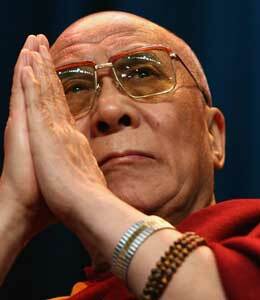 Your Holiness, I believe that the head of the Tibetan Government-in-Exile must not be the Dalai Lama. It must be headed by a secular individual. If you are to head this Government-in-Exile, it becomes a theocracy and there is no place in the modern world for a theocracy. 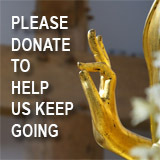 However, the Tibetan movement still needs your help. You must not retire completely, though you have expressed your wish to do so. You must work with the Tibetan Government-in-Exile in order to keep the Tibetan cause in the limelight. History has been unkind to Tibet and its people. You have, in my opinion, performed a stellar role in fighting for their rights. I don’t think history will judge you harshly. Where do we go from here, Your Holiness? I don’t believe that there is a magic solution to the Tibetan issue. I wonder what advice you will give your fellow delegates at the forthcoming conference. There will be some hotheads who will want armed action against China. Around eight months ago, in March 2008 there were orchestrated riots in Tibet. Nothing much was achieved, but it did scare the Chinese government a lot, since it was so close to the Olympics. Next time your followers try something like that, the Chinese government might not be as restrained, since the Olympics are now over and the Chinese couldn’t give two hoots about public opinion. I assume muscular lobbying is an option. The Tibetan cause has supporters and well-wishers all over the world. Your Holiness, things can change very quickly. If the current economic recession were to continue, China will not be able to provide employment for many of its restless millions. If economic unrest were to spread in China, which now has a vast rich-poor divide, the Tibetan Government-in-Exile might be able to bargain a certain degree of autonomy for itself. There might even be a fortuitous turn of events which enables Tibetans to get their country back. I wish Your Holiness and the people of Tibet all the best for the future. Vinod Joseph is a professional based in the UK.